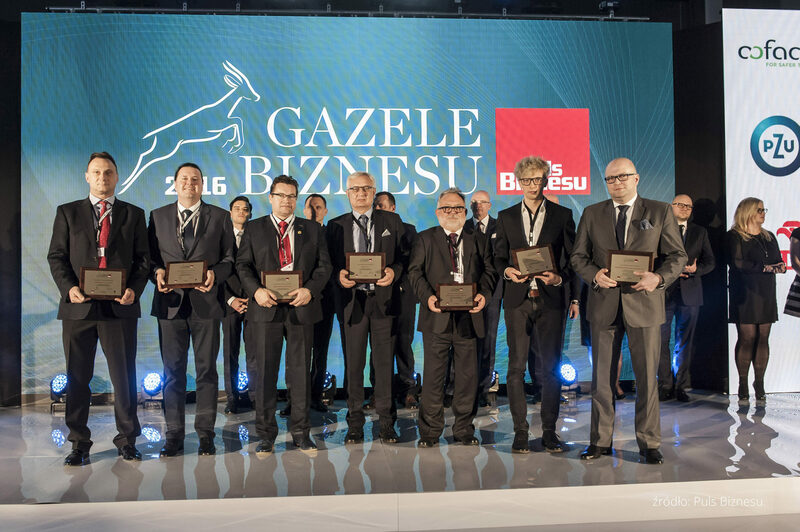 We are very pleased to announce that the OVER Group company has been awarded wit the Business Gazelle of 2016 title for its development in the years 2013, 2014 and 2015. 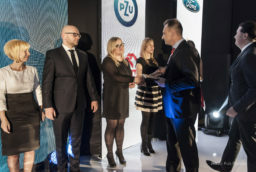 The Business Gazelles is a ranking of the fastest-growing small and medium-sized companies organized in Poland by Puls Biznesu since the year 2000. The project is organized jointly by nine economics-related newspapers of the Bonnier Publishing Group. Similar rankings are organized in Sweden, Austria, Denmark, Russia, Estonia, Slovenia and Latvia. The Business Gazelles ranking includes companies which thanks to their dynamic development are managing really well even amongst much larger competitors. 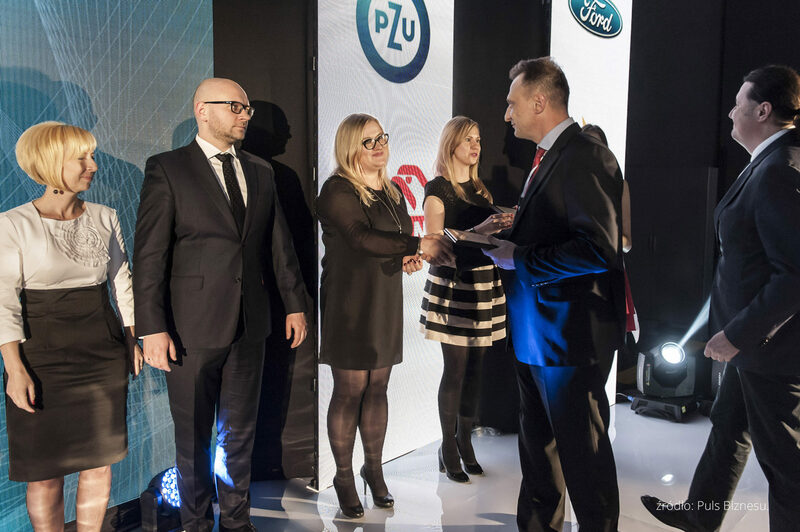 The OVER Group company during the final gala of Business Gazelles in 22.02.2017 was awarded for its dynamic and consistent development and was incorporated into the elite group of companies recognised as Business Gazelles. 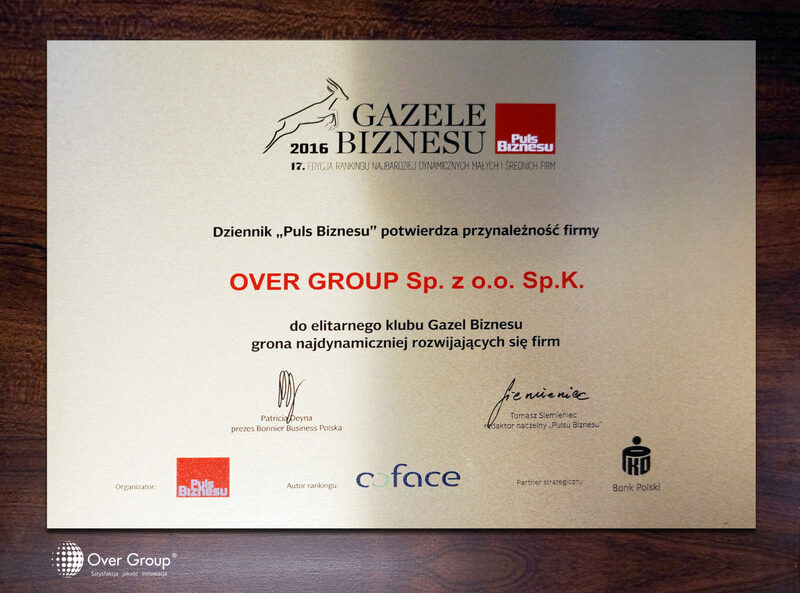 The OVER Group company made it to the ranking with an almost 110% revenue growth.